Q. 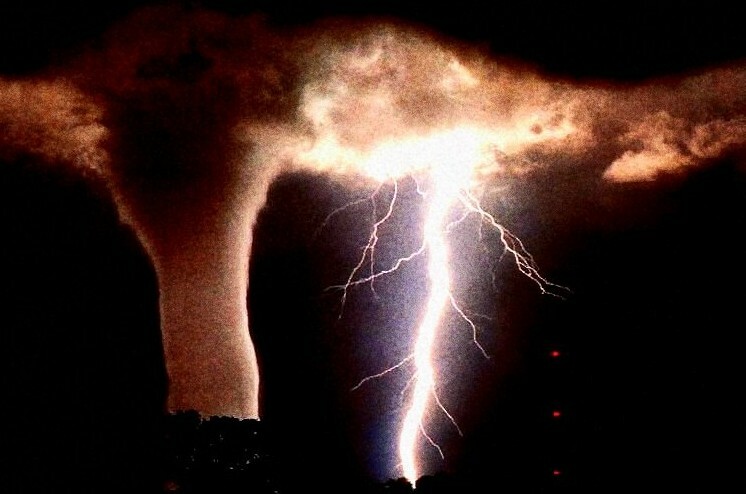 Should we blame God for earthquakes, hurricanes, storms and tsunamis? A. Judaism is not a doctrinal monolith but a work in progress. It accommodates a range of views, on most of which it constantly addresses and generally modifies tentative positions as they arise. In relation to the age-old problem of evil, it works on two interconnected levels – the intellectual (“Can our minds understand the nature of God?”) and the pastoral (“Can we handle the reality of our pain?”). Disaster comes in two forms: moral disaster and physical disaster. In the first category man typically uses his free will to bring harm to others, even to himself. In this category we do not usually ask, “Why did God do this?”, but “Why did God allow this to happen?” This is a major problem, but different from your question. It is hard to apply the name moral disaster to nature’s so-called “acts of God” which include earthquakes, hurricanes, storms and tsunamis. Conventional language calls them “acts of God” because they generally cannot be blamed on human beings. If, however, we say they are brought about by God, we want to know His purpose. If we deny that they were brought about by God, we imply that there are forces other than (and probably opposed to) Him. Either this implies that He has abdicated and no longer bears responsibility for the world, which contradicts the constant Biblical assertion that He is the Lord of History and the world is not ownerless (hefker) – or it raises the dualistic thesis, which posits rival powers of Light and Darkness, Good and Evil: a view denied by Scripture, e.g. in Isaiah’s assertion that God creates both good and evil (Isa. 5:5-7). The boundary between good and evil is fluid. Out of good can come evil and out of evil can come good (B’rachot ch. 9). Were it not for supposed “evil” urges, human progress would be impossible (Sukkah 52a). What we perceive as evil derives from God as does that which we call good. Even that which we call evil is approved by the Creator: all that He made is called “very good” (Gen. 1:31; Onkelos translates the Hebrew tov me’od as takkin, stable, firm – part of the pattern of a functioning universe). 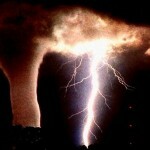 God is thus the power behind the phenomena of Nature, the force that produces storms (Psalm 29), earthquakes (Ezek. 3:12-13), and floods (Gen. 6). All are signs of His might. But very often they produce suffering – pain to human beings, injury to the environment. Are we meant to say that the suffering too is “very good”? 1. “God sends the disasters as a punishment for sin”. If so, how can He be a good God? It is no comfort to say that He is punishing or warning the human race, because after Noah and the Flood, He promised not to do so, at least by means of a flood (Gen. 8:21-22). 2. Alternatively, “God has no control over the disasters”. If this is true, how can He be all-powerful? By definition God knows what He is doing (Deut.32:4) and nothing is too hard for Him. 3. “Man causes some of the disasters because he doesn’t protect the environment properly”. But God has some control even though He gave man free will; why doesn’t He step in and stop the disaster from causing such harm? What about disasters which man could not have predicted or prevented? Can’t God create a miracle like the parting of the Red Sea (Ex. 15)? 4. “We don’t know the answer – but this doesn’t absolve us from helping to alleviate the suffering”. Emil Fackenheim and others say our task is not to understand but to respond. This may be true – but doesn’t it let God off the hook? 5. Many sources (e.g. Psalm 91:15) say that God shares our pain. Harold Kushner says that He sits shivah with us, joining us in lamenting the tragedy. He is on our side, but doesn’t He feel even a little guilty? 6. “It’s not a perfect world”. The Emunah Ramah of Abraham ibn Daud and others have a concept of “plenitude” which says that God has no duty to create a perfect world; there are built-in fault-lines, and disasters are bound to happen. However, regardless of what God is or is not obligated to do, chapter 1 of Genesis constantly states that He called his Creation good. Nothing is said about defects or flaws. 7. Disasters must be seen in perspective. There is more good than evil in the world. God gives us many blessings which we should recognise and enjoy and not constantly complain about what we lack. 8. Just as we humans have to improve ourselves and our world in order to be ready for the Redemption, so God has to do His part to improve things in order to bring about the End of Days (cf. Ezek. 38:19-20). One day we might come closer to an answer to the problem. In the meantime we are still crying, still seeking understanding and assurance. This entry is filed under Ask The Rabbi, God, Nature & Environment.